Ami Mizuno riding her Beautiful White Stallion. . HD Wallpaper and background images in the Sailor Mercury club tagged: photo ami mizuno horse stallion. 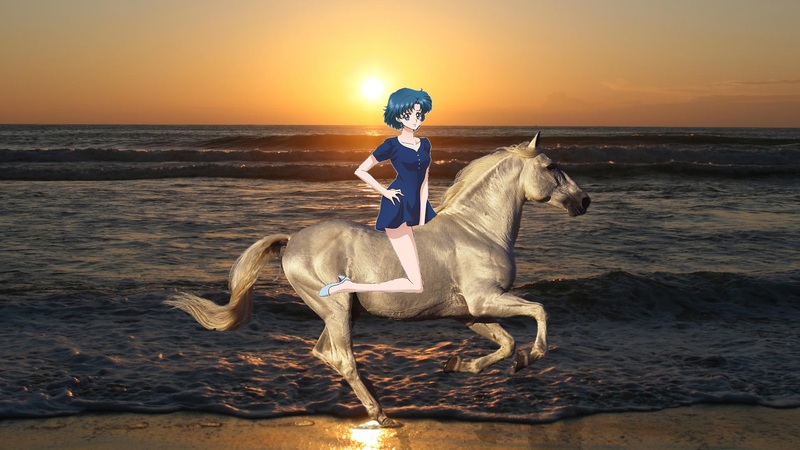 This Sailor Mercury fan art contains lippizan, lipizzan, lippizaner, trail cavalo, trilha do cavalo, wrangler cavalo, wrangler, wrangler de cavalo wrangler, and cavalo wrangler. There might also be cavalo de corrida, cavalo de raça, bangtail, o cavalo de corrida, prostituta, steeplechaser, cavaleiro, and adestramento.